WP Security Audit Log is a WordPress activity log plugin. It allows you to audit and track the activity of your logged-in users in your WordPress dashboard. It keeps a track on user changes and identify any suspicious activity. It lets you troubleshoot the problems and solve them quickly to prevent your site from malicious hacks. The best part is that WPBeginner users can get 15% OFF on the purchase of WP Security Audit Log using our exclusive WP Security Audit Log coupon code. How to Use WP Security Audit Log Coupon Code? 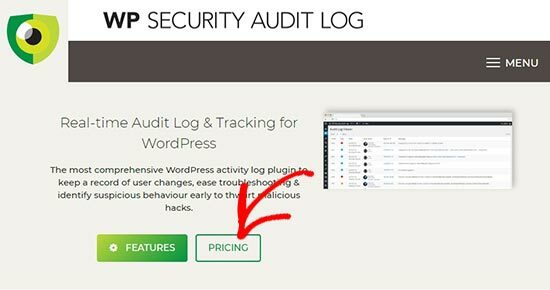 WPBeginner’s exclusive WP Security Audit Log coupon code helps you get 15% off on the WordPress activity log plugin. 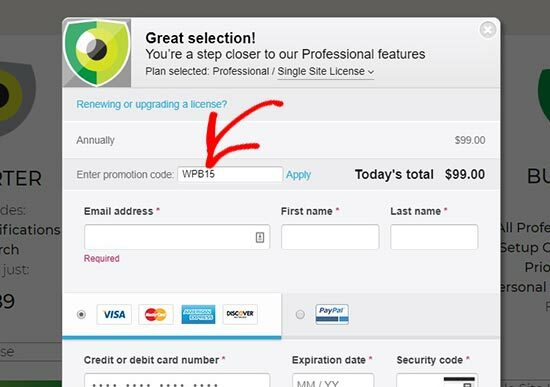 All you have to do is follow our instructions below to properly redeem WP Security Audit Log coupon code, so you can get the best discount on WP Security Audit Log. 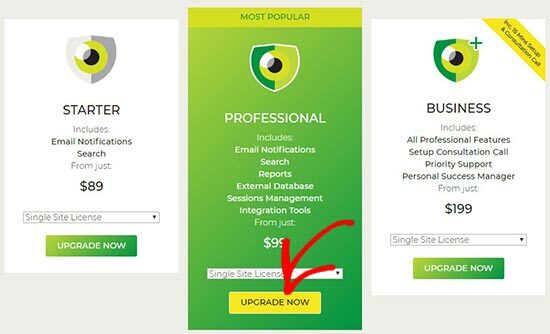 First you need to visit the WP Security Audit Log website using our link on WPBeginner and click on the ‘Pricing’ button. This will take you to the WP Security Audit Log plans and pricing page. You can look into the features of all their plans and click on the ‘Upgrade Now’ button below the plan you want to purchase. Click on the ‘Apply’ button and it’ll update the price after discount. Next you need to scroll down to add the payment details and complete your purchase. We hope you found our WP Security Audit Log coupon code to be helpful. At WPBeginner, we work hard to negotiate exclusive discounts for our users.